The other day I was in Whole Foods and I saw a blue looking spread and thought, ehhhh. 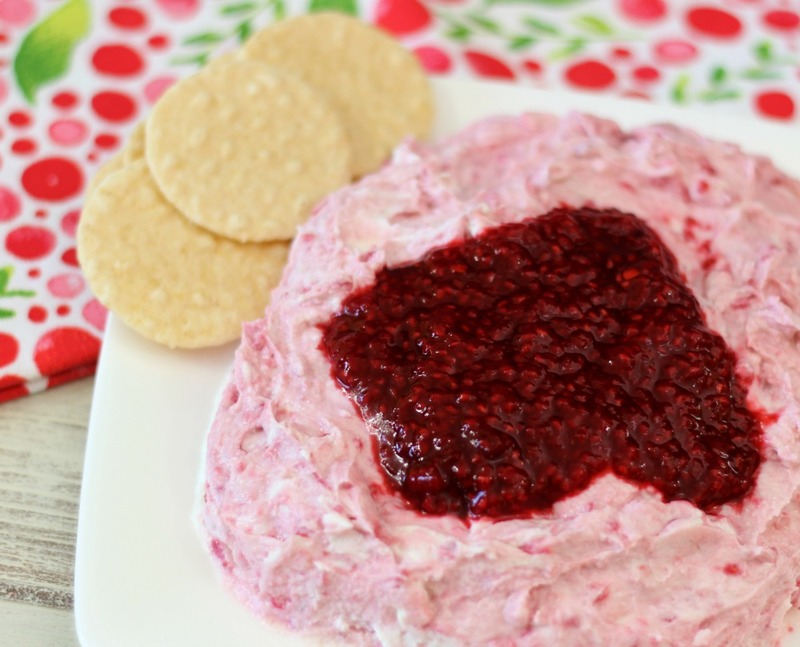 The I read it and it said blackberry jalapeno jam spread on goat cheese. I think at that moment my heart skipped a beat. I also knew at that moment I had to make it. Then when I rushed home, I realized I didn’t have blackberries. Oh no!!! What do I do? Then it hit! 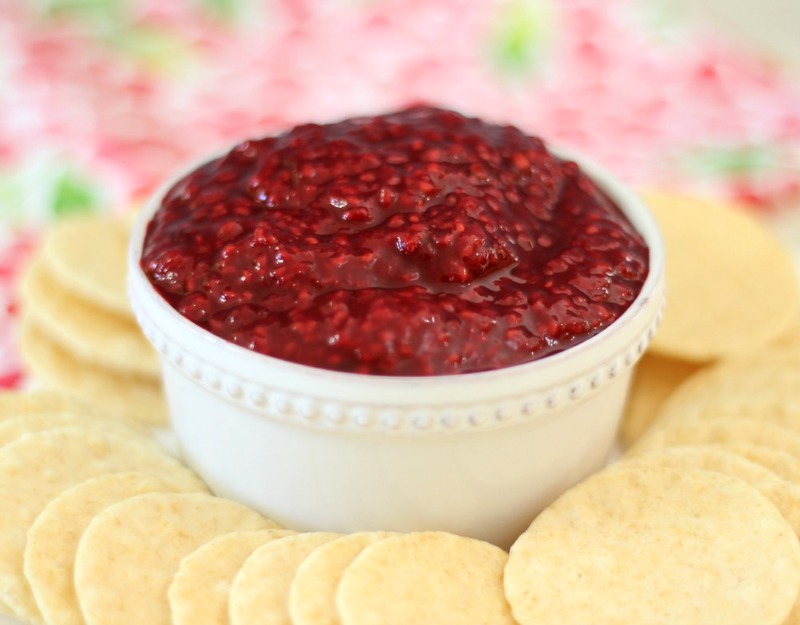 I have had in the back of my mind for a while a Raspberry Chipotle Jam. Oh yah! So I whipped it all together and oh my gosh, pure happiness. Will I make the blackberry jalapeno jam? Yes I will, my guess is it will be very soon, but until then I found a new love of raspberries and chipotle peppers together. A wonderful combination. 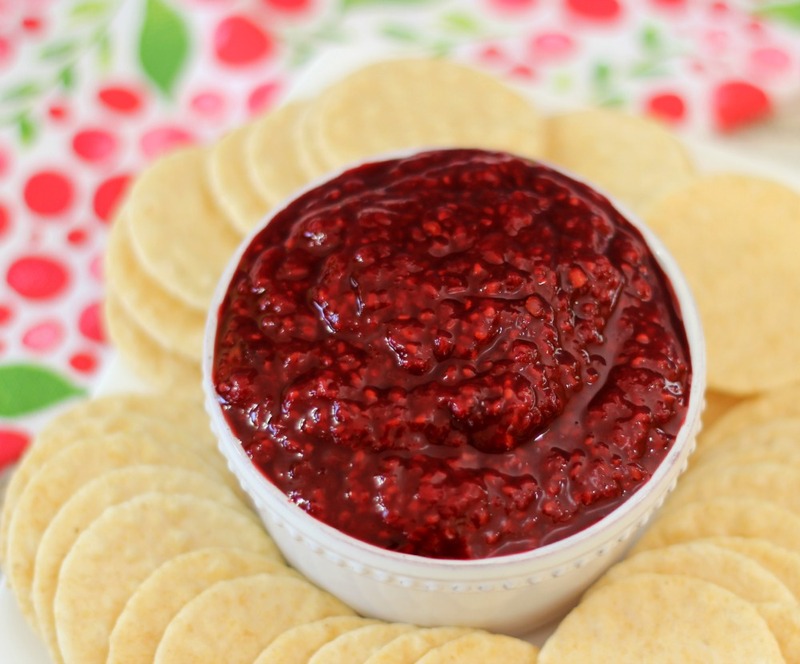 This jam is sweet, a little bit spicy and has the most delicious raspberry flavor. YUM!!!! When making it, I found it was a tad to spicy the first day, but the next day I had some and it wasn’t so spicy. It was actually perfect. I was afraid that the heat would intensify, but it didn’t. I’m kind of glad it didn’t. I like spicy, but I was sharing this with my co-workers the next day and no one can really handle the heat like I can. Oh and the jam with goat cheese was a hit!! 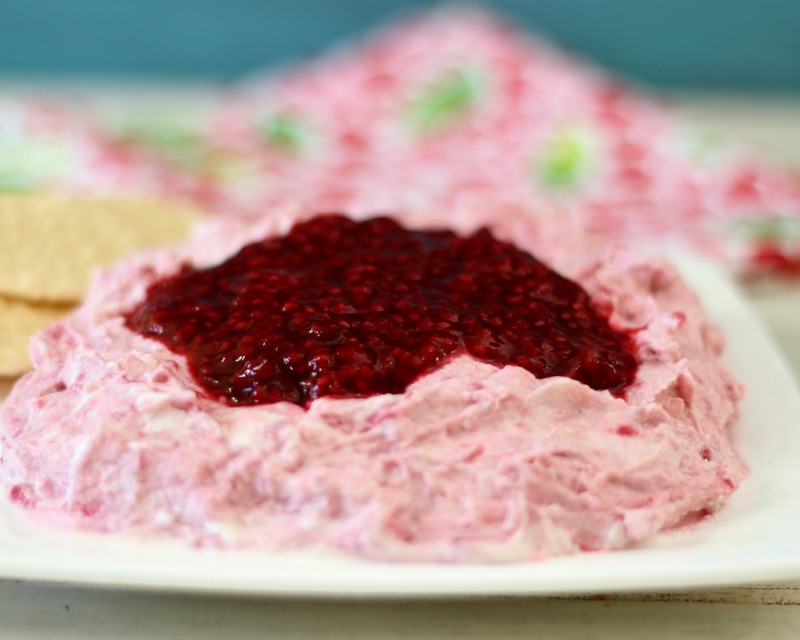 This jam is what I call a quick jam, meaning its super fast to make, but you can’t can it. There is not enough sugar in it to preserve it. But if you make it, it will last about a couple of weeks in the fridge, but I don’t think it will last this long. It has great flavor and can be quite addicting! I served this quick jam on the goat cheese like they had at Whole Foods. I kind of wasn’t thinking when I put it over the cheese and I mixed it in. It’s kind of funny looking, but it tasted so good! Here is a pic of it over the cream cheese. By the way, it would also be so good with cream cheese too!! 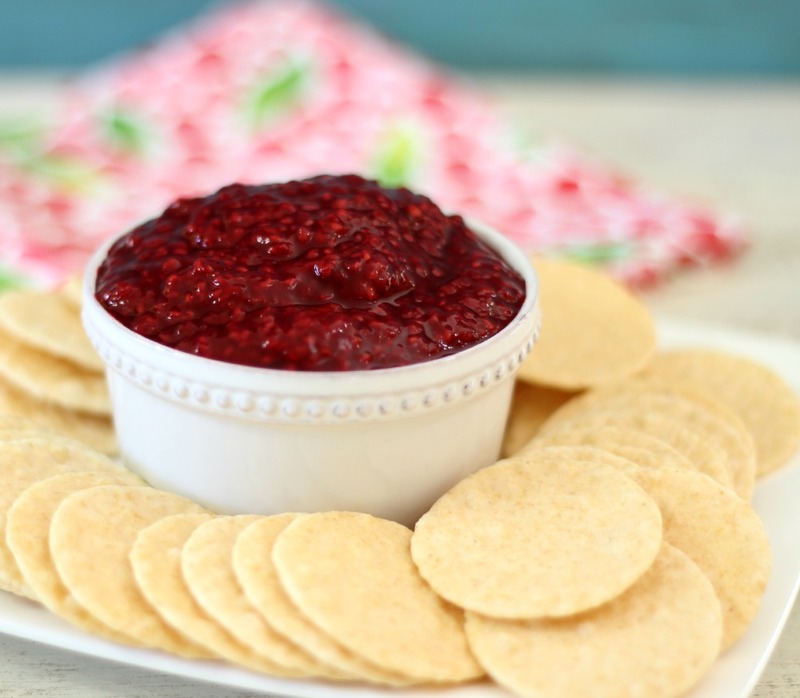 A sweet and spicy quick jam made with raspberries, chipotle peppers with a hint of garlic. Optional: To make seedless, or almost seedless, run jam through a sieve a few times by rubbing it with a back of a spoon. Let jam cool and store in an airtight container in the refrigerator. Since spring is here, I am just waiting for the fresh berries at the Farmers Market. Strawberries are already starting to show up and pretty soon it will be raspberries and blackberries. I can’t wait. I just love berry season. As much as I love all fruit, nothing in my mind beats a nice little berry. What’s even better is that they are full of fiber, low-calorie and low carb. You can’t beat that! Great idea for a sweet and spicy jam!! Really, really good! We used it as a dipping sauce for mozzarella sticks. I love that it comes together so quickly. The flavor is perfect. Raspberry with just a touch of heat. I only made half the batch, but it still makes a lot.. Have you ever tried to freeze this? I’d love to store it in smaller portions to use at will. JUst made this and it is just what I wanted. We had a raspberry chipotle sauce on a bacon cheeseburger from a food truck in Albuquerque, so this will be a surprise for my son, who loved that burger. I hope you try the recipe. Let me know how it turns out if you make it.